American author-illustrator Jeff Kinney has come out with the tenth book of the “Diary of a Wimpy Kid” series in which main character Greg Heffley starts a new school year and faces a challenge he never could’ve imagined. 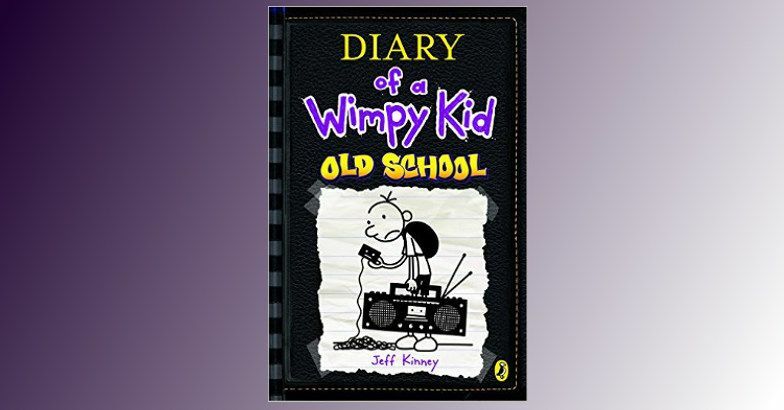 In “Diary of a Wimpy Kid: Old School”, Kinney brings the series back to its roots. Life was better in the old days. Or was it? That's the question middle-school weakling Heffley is asking, as his town voluntarily unplugs and goes electronics-free. But modern life has its conveniences, and Greg isn't cut out for an old-fashioned world. It follows Heffley as he goes on a weeklong field trip to a farm and deals with a generation gap between the kids and their chaperones. With tension building inside and outside the Heffley home, Greg looks for a way to survive. According to Kinney, the most surprising thing about “Diary of a Wimpy Kid” has been how children of different cultures around the world have embraced Greg Heffley. “For the tenth book, I wanted to bring things back to basics,” said Kinney on the dramatic choice of black for the book cover. “And nothing says ‘Old School' for a cartoonist more than black, the colour of ink,” he adds. Published by Puffin Books, “Diary of a Wimpy Kid: Old School” hit the bookstores in more than 90 countries today, including in India. Kinney didn't grow up wanting to be a children's author. His dream was to become a newspaper cartoonist, but he wasn't able to get his comic strips syndicated. 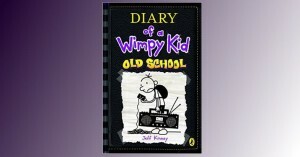 In 1998, Kinney came up with the idea for “Diary of a Wimpy Kid”. He worked on his book for almost eight years before showing it to a publisher in New York. While attending the University of Maryland in the early 1990s, he ran a comic strip called “Igdoof” in the campus newspaper, and he knew he wanted to be a cartoonist. However, Kinney was not successful in getting his comic strip syndicated after college, and in 1998 he started writing down ideas for “Diary of a Wimpy Kid”, which he hoped to turn into a book. Kinney worked on the book for six years before publishing it online on Funbrain.com in daily installments. To date, the online version of “Diary of a Wimpy Kid” has more than 80 million visits, and is typically read by more than 70,000 kids a day. In 2006, Kinney signed a multi-book deal with publisher Harry N Abrams, Inc. to turn “Diary of a Wimpy Kid” into a print series. The “Diary of a Wimpy Kid” series has sold 164 million copies in print worldwide and has been translated to 48 languages. It is regarded among the few series that have surpassed the 150 million mark, including the Harry Potter series.